Your Grace is Sufficient: Don't Worry! Be Happy! 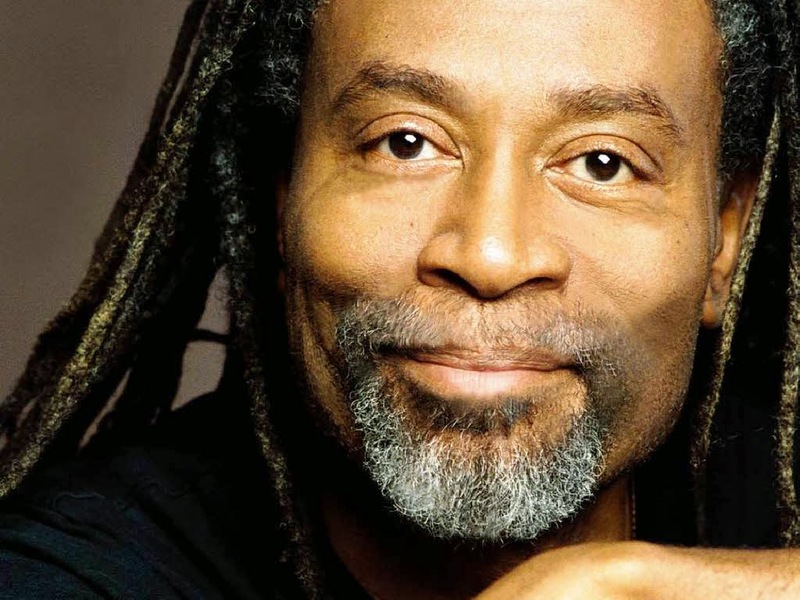 Those of you who had lived through the 80s or at least still live off a steady dose of music from that era will remember that catchy a cappella number, "Don't Worry, Be Happy," which became synonymous with Bobby McFerrin. For some, the feel good message of the song seems to cut through the pains, turmoil and problems of the day. On the other hand, the tune’s simplistic philosophy seems to betray a certain naiveté which denies the harsh realities of life. You’ve heard on countless occasions, well-intentioned people coming up to console you with the familiar epithet, ‘Don’t worry.’ The empty reassurance probably didn’t help in allaying your fears or reducing your anxiety. Easy words to say, but hard to put into practice. Now before you conclude that Jesus has lost his mind in some drunken ecstasy brought on by binging on happy pills or smoking marijuana, or is insensitive to our present economic plight, let’s have a second look at this seemingly simple message. In the previous section, Jesus has been teaching His listeners about the uselessness of treasuring anything besides God Himself and all that He offers us. Jesus has just illustrated, in several ways, the barrenness, the impossibility of being able to put both God and others, or earthly treasures at the center of your life. One cannot serve both God and money! Since this is not possible, Jesus tells His listeners, “do not be anxious.” The connection between the two sections lie in the human experience of anxiety. Human anxiety springs from the unreasonable and false expectations we place on the things of the world. It is interesting to note how man assesses progress and development, by resorting to economic figures rather than to the one thing which every human person desires – happiness. Of course, he sincerely believes that economic advancement will guarantee happiness. Thus it is universally accepted that we measure the well being of a country by using indices like GNP, Gross National Product or GDP, Gross Domestic Product, both measuring economic and material advancement whilst leaving out other factors. The exception has been the tiny Himalayan nation of Bhutan. The Bhutan government declared that the Gross National Happiness (GNH) index, not the Gross Domestic Product index, would be the measure of success in their country. For a long time, Bhutan prided themselves as one of the happiest countries on earth, albeit that they were certainly one of the poorest. Nevertheless, poverty was never a hindrance to their happiness. But when development and external influences in the form of media and technology slowly crept into this nation, it was discovered that the GNH, the Gross National Happiness, began to experience a severe decline. Analysts attributed this radical drop to a change in people’s expectations. All of a sudden, the Bhutanese people measured happiness based on the earthly treasures which they possessed. They began to compare their meagre existence with the materialistic lives of people in more developed nations. And the grass will always seem greener on the other side. Jesus’ listeners knew they lived in an insecure world. Most of them had only the bare essentials of life, and all of them were dependent on the weather and the soil for the crops that were needed to sustain them. They were keenly aware of this dependence. It was this insecurity that led people to be anxious. What if there isn’t enough rain this year? What if the crops are diseased? What if I cannot provide food for my family? There were no guarantees in life and people were painfully reminded of that fact all the time. This anxiety tempted many of Jesus’ listeners to try to serve mammon as well as God. Mammon is concrete, wealth can be seen and used here. So it seems to offer a security against the capriciousness of life. This is why Jesus now turns to the underlying issue of anxiety. He knows why the people are tempted by the appearance of security that accumulated wealth seems to offer. Jesus makes several points to help His listeners, and us, to combat the temptation to live out of anxiety. First Jesus asks His listeners to consider the truth that life is more than just food and clothing. By asking the question, Jesus is trying to get them, and us, to stop in our tracks and consider just what life is about. In our anxiety to obtain even basic things for ourselves, aren’t we beginning to live as if this is all that life is about, that this is the deepest and truest thing about life? If life consists only in the accumulation of stuff, then we are missing out on life in its deeper, truer sense. Having exposed the false promise of our material securities, Jesus now turns to the birds and the flowers and, in doing so, begins to deal with the deepest answer that He gives to our anxiety: the character of our heavenly Father. Jesus asks His listeners to look at the birds and flowers of the field. If the birds are fed, it is because our heavenly Father feeds them. If, the flowers are clothed, it is the heavenly Father who clothes them. Jesus tells us that God doesn’t just provide food for them to find. Jesus says that our Father’s involvement with His creation is so intimate that He can be said to be actively feeding the birds and clothing the flowers. God is not aloof and uninvolved in His world, as we may be tempted to believe. The point Jesus is making is that if our Father is this involved and good to the rest of His creation, then how much more will He be involved with us, who are His children. Therefore the reason we should not to be anxious is not only because our material securities would only bring with them more troubles but also because we are not alone or abandoned in the world. Rather, we are children of a watchful, active and most of all, a Loving Father. Finally, Jesus gives us His positive command; His answer to what we are to do instead of being anxious. He tells His audience that they are to seek first the kingdom, and that, in doing so, their secondary needs, like food and clothing will be taken care of. So what does it mean to seek God’s kingdom? The kingdom is not some geographical location or nation state but it is where God’s good, life-giving will is done. We are to live as if we are the children of this God, and that He is actively present. When we participate in His will out of hope and trust, we are seeking the kingdom. In a world, where many struggle for basic necessities and all seem to live in the uncertainties of the future, Jesus imparts to His listeners the secret of joy. He reminds us that the philosophy of life proposed by the Kingdom of God is the only way that ensures life-long happiness and happiness beyond the grave. When we live as true subjects of the Kingdom of God, our lives will be filled with joy and contentment even in the midst of economic, political and social uncertainties of the world. Our lives are truly in His hands. It isn’t that we are now guaranteed that we will never suffer economic disaster or some other misfortune. What this means is that our rock solid, true security is not in our ever changing circumstances, but in our heavenly Father. Our security is not in our ability to get and keep a good job, or obtain food and clothing for ourselves. When we lose our jobs, or face uncertainty about our present or future needs, even basic bodily needs, we continue to seek the kingdom because our security, the reality of where we really go to receive what we need, hasn’t changed. So, the next time, you hear some well-intentioned person walk up to you with this somewhat clichéd advice, “Be Happy! Don’t Worry!,” don’t be too quick to dismiss him as naïve or simply insensitive to your troubles. There is truth in the statement. It lies in this – once you seek first the Kingdom of Heaven and God’s righteousness, all things will be added unto you. Once you begin to subject yourselves to the reign and authority of God, you will experience the freedom of a child of God, free from the crushing weight of sin, anxiety and troubles, because Jesus has taken all these upon himself. So why worry? Be Happy!